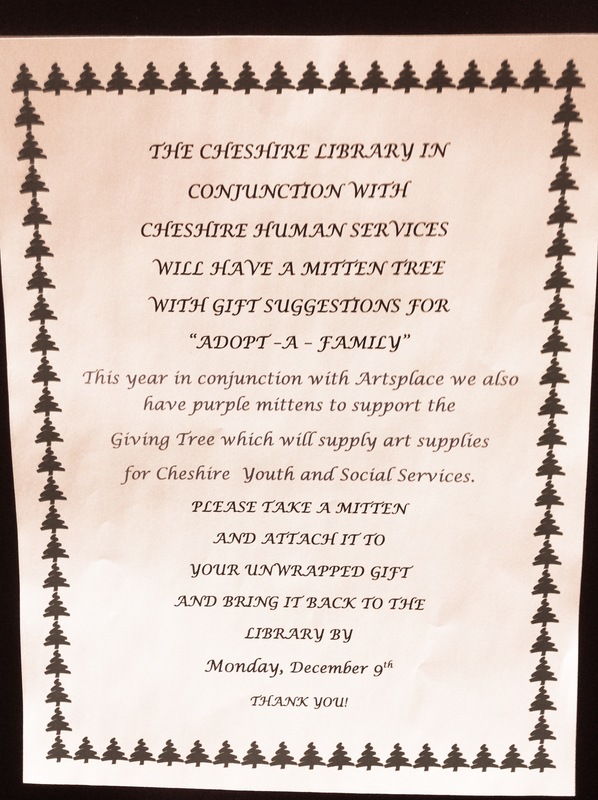 Cheshire Library is once again collecting gifts for the “Adopt-a-Family” program this holiday season. 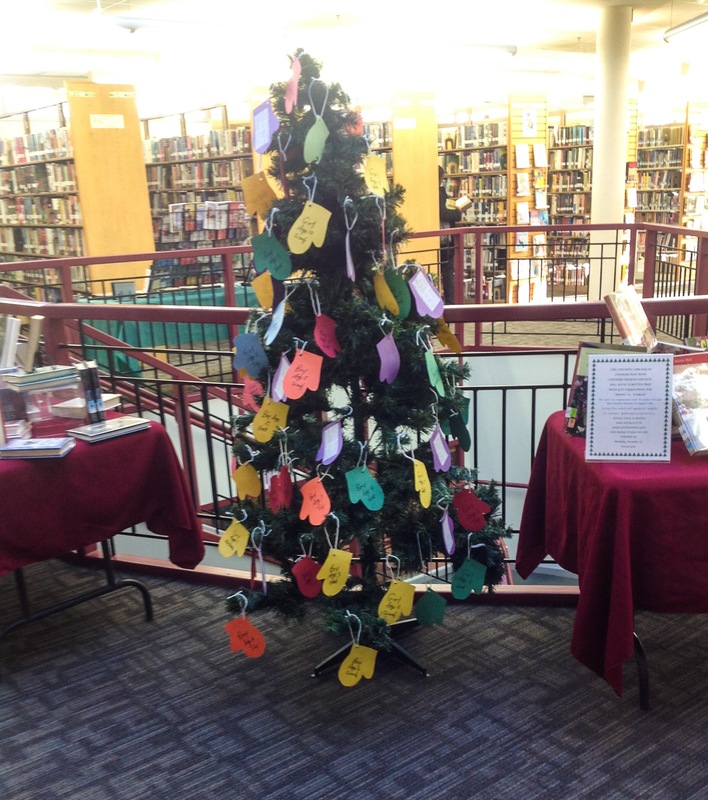 Please stop in and select a mitten from the tree in our lobby, attach it to an unwrapped gift place it under the Mitten Tree by Dec. 9. Make the holidays a little bit brighter for a local family in need!